Hello and welcome to week 26 of Cook Blog Share. Well a lot has happened during the last 4 weeks. I have started my new job and loving it! But next week it is changing again. Until the end of term I am doing full days. So I have a feeling I will be well and truly ready for the six weeks summer holiday to come! 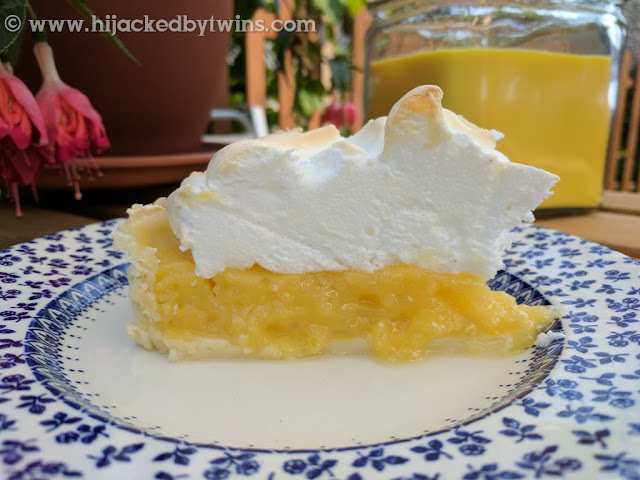 Last week the Cook Blog Share linky was hosted by Monika at Everyday Healthy Recipes who, like me, could not resist the lovely summer feeling! As the weather has been glorious it is no surprise that summer dishes won again this week. I am hoping for plenty more lovely weather and lots of eating al fresco. The meals that I have decided to feature are all perfect for outside dining with the family or friends. The first recipe that caught my eye was from Foodie Quine. These BBQ Steak and Shrimp Kebabs with Maple and Mustard Glaze look like the perfect BBQ treat. I adore shrimps and combined with this incredibly lean steak, what is there not to love? I love beetroot and The Bearded Hiker has created this Beet Salad Napoleon which has left me craving beetroot. I know that they will be on my shopping list this week. The beetroot has been paired with my favourite cheese, goats cheese and together are pure perfection on a plate! Many of you will know that we have chickens so always have an abundance of eggs. Tortillas/omelette's are our go to egg dishes. This Baked Tomato,Spinach and Mozzarella Tortilla from Recipes Made Easy contains our family favourite so will be a hit here! Last but not least is this Spiced Chicken, Lentil and a Herby Yogurt Dressing Summer Salad from rupEAT. As much as I love salad, I do get bored of lettuce and have been trying new variations and lentils have become a much loved addition. This chicken is so full of flavour your salad will be anything but boring with this! If you need a summer pudding then I would definitely go for my lovely Lemon and Lime Meringue Pie. If you missed any of these recipes last week I definitely recommend you pop over and take a look! Next week the linky is back with Eb at Easy Peasy Foodie. You can also find us all of the CookBlogShare Facebook group and can find a list of who is hosting here. Now over to you. The rules are simple, you can share any foodie post both old and new welcome. All that I do ask is that you comment on either this post or the post marked HOST in the linky, pop over and see some other posts and add the badge below. I cannot wait to see what you have been cooking up! That's a wonderful looking pudding. I love lemon curd. Great feature recipes, perfect for the sunshine! Thanks. Lovely round up.. great way to meet lot amazing bloggers.. Thanks for the great roundup! I am also looking forward to enjoying the summer, although Wisconsin hasn't quite convinced itself that it IS, in fact, summer. We've had a ton of dreary, cool weather, so I can't wait for more picnic- and cookout-friendly weather to find its way to Packerland. These recipes all look amazing, and several will undoubtedly turn up very soon at a potluck near me. 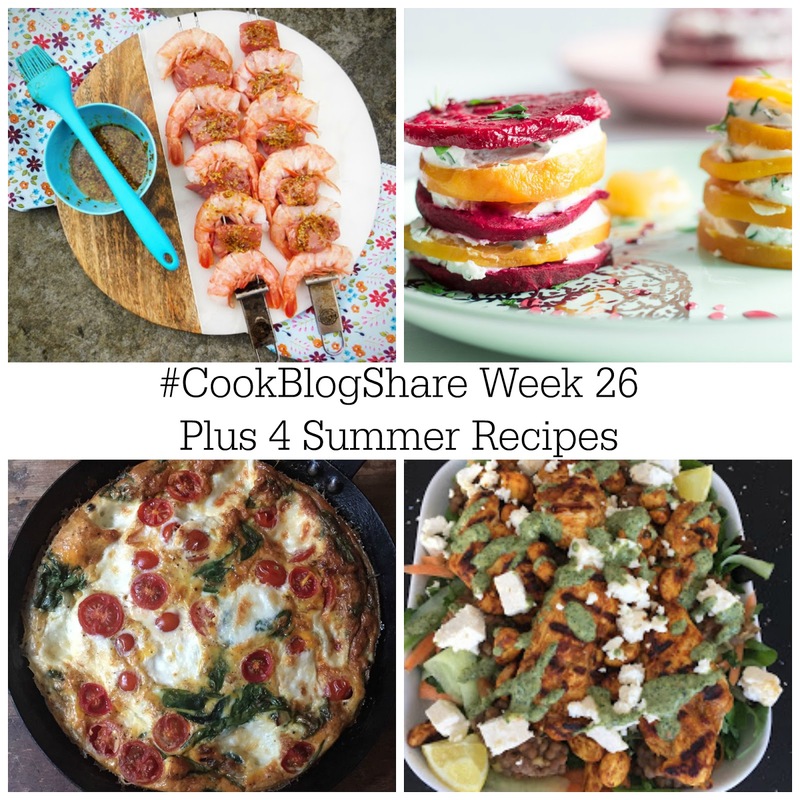 Lovely round up.LOve all these fab summer recipes. I love summer so many tasty summer dishes to try. Glad the new job is going well, hope you are not too exhausted by the time the holidays arrive. Not long now! What a super round-up this week, and I have to say that your lemon meringue pie looks so perfect! Great to read that the new job is going well.. I bet you'll be glad of the summer hols though!